In my 433 MHz projects I have been using a cheap (1 euro) pair of Tx/Rx modules. I have mostly used the transmitter and that is actually fairly good: if used to trigger commercially available remote switches, it reaches reasonably far with just a simple 1/4 lambda antenna. The receiver however is a bit crappy: without antenna the reach is maybe no further than a meter, but even with a 1/4 lambda antenna it is marginally more, even with free Line of Sight. For any serious project that involved receiving data it seemed I needed the much better (and more expensive) RXB8 receiver. However, when mining the internet for a coil antenna (trying to improve on the lengthy 17.2 cm stick antenna) I came across a design of Ben Schueler, apparently once published in elektor magazine. It is a so called coil loaded design consisting of 0.6mm wire wrapped around a 2.5mm core. Ben’s pdf gives a good description with pictures. The results with this antenna are very good. The distance (with the cheap receiver) that can be covered easily goes to 25 m with line of sight, but also in-house the distance will be increased reaching other rooms with concrete walls in between. It is possible to use the RCSwitch library in combination with an Attiny85 in order to send data. // Optional set pulse length. // Optional set number of transmission repetitions. //Switch on AB440-device B on system code 29. I have struggled a lot with sending RF data between two Attiny85 chips, so I thought it might be helpful if I just explain how I did it. There are a number of such projects being described on the internet, but yet, it didn’t prove to be such a straightforward project, which i found to be mostly due to not using the right libraries and cores. There are two main libraries used to send and receive data on an Arduino platform: VirtualWire and Manchester code. As Virtualwire is a bit older, no longer supported, and supposedly can only send characters (though there is a way around that) I decided to use Manchester code. To make a long story short, it didn’t work. I had the MANCHESTER.h and MANCHESTER.cpp file and ran into a lot of trouble, until I discovered that was the wrong/old library, you need the Manchester.h and Manchester.cpp file from here. When I used that I got my transmitter to work, I could send data to an Arduino, that was already a big relief. However……. whatever I did, I did not get my receiver to work. In testing something on an Attiny it is very frustrating to just stare at an LED that is supposed to light, but doesnt, without knowing what and why and how. So i decided to add an LCD to the Attiny, so at least I could see what was happening.. The latter is the one from Highlowtech. 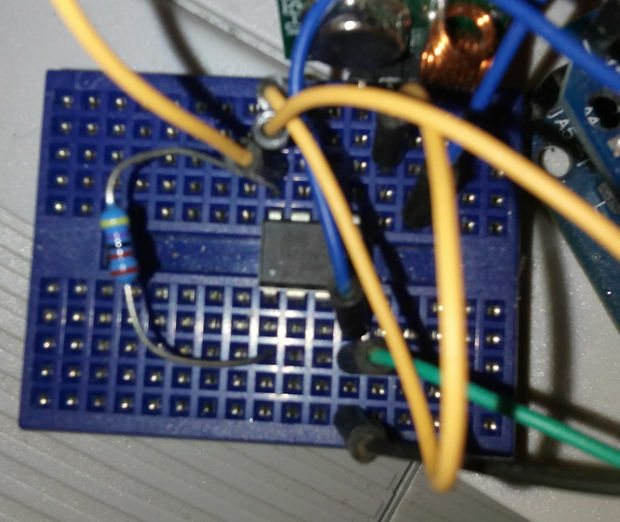 Connect a 433 MHz Transmitter module with its data in to pin PB0 (that is pin 5 on the chip). 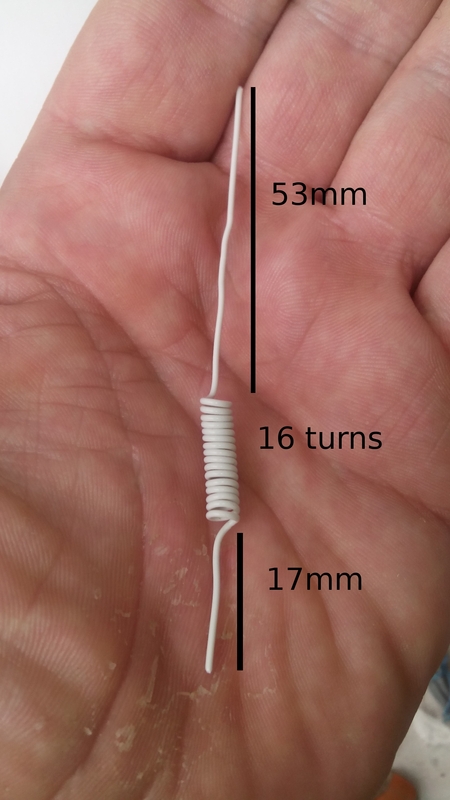 Take a 17 cm stiff wire and attach that to the antenna hole of the transmitter. Put the programmed attiny chip in your breadboard. Connect the datapin (usually either one of the two middle pins) to pin PB1 (physical pin6) on the attiny. Connect Vcc and ground of the LCD to Vcc and Ground. Attach a 17 cm (1/4 lambda for 433 MHz) to the Receiver module. transmittion to switch a relay on or off. The results are good, no garbage is being received, but the reach is about 4-5 meters, with the antennas. The antenna on the receiver only makes a small difference. The one on the Transmitter makes a big difference. Still, this is surprising as the transmitter module is capable of switching remote switches at greater distances even on different floors. The wavelength is 0.690893386 meters. That is about 6.80013 inches. You can also use the wavelength calculator. Once you have established The link between two attiny’s, linking one of them with an arduino should not be a problem. I use mine to send data to an Arduino ( e,g. 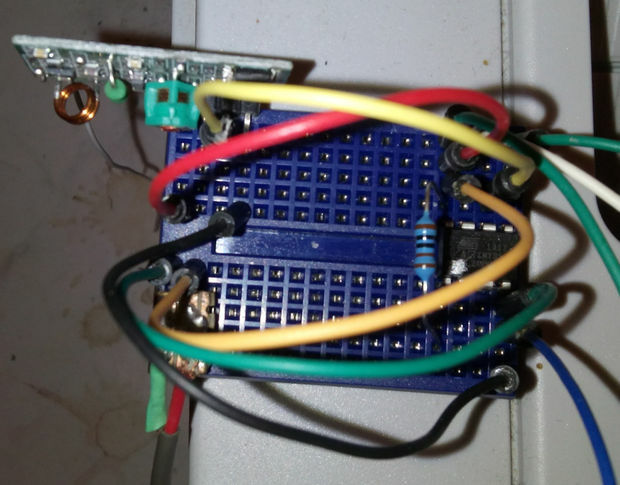 temperature, or the status of a tripwire), or to receive data from an Arduino to steer a servo or an RGB LED. With the price of 433MHz Receivers and Transmitters being so ridiculously low, I figured I couldn’t put of using some any more so i ordered a pair at Dealextreme for less than 2 USD. When they arrived, of course I imediately wanted to test them. I had an old IKEA set (SELECTREMOTE No. 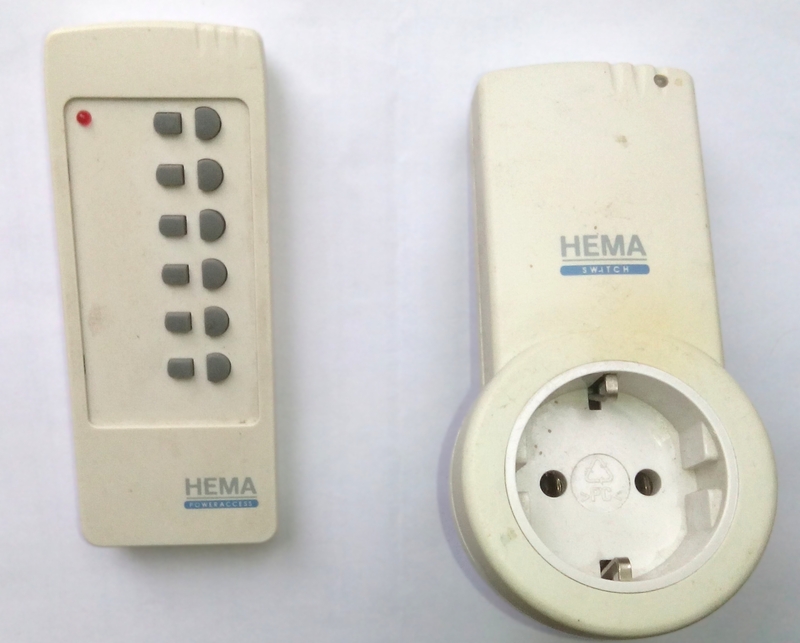 1728029) also sold by Blokker at one time, and an Old HEMA set (PowerAccess, originally Ewig Industries RF AC socket 288A)) . The Selectremote 1728029 is most likely Equivalent to the Powertran A0342. I loaded one Arduino with an RF sniffer (Datapin on D2) and pressed ‘A on’ and yes, a code came through. pressed again and a different code came through, pressed again and 3 or 4 codes came through. That actually happened in all channels. One code seemed very frequent and I gathered maybe the protocol required to send more than one code, or maybe one code several times. I decided to focus on just the one ON and OFF button and with just a gentle press, I seemed to come to two codes for the ON and 2 codes for the OFF button that seemed to recur most frequent. Then I checked if indeed each of those codes had an actual function with regard to the socket being switched on or off, so with my RF sniffer still running, I prepared one of the switches as channel ‘A’ and tested again. 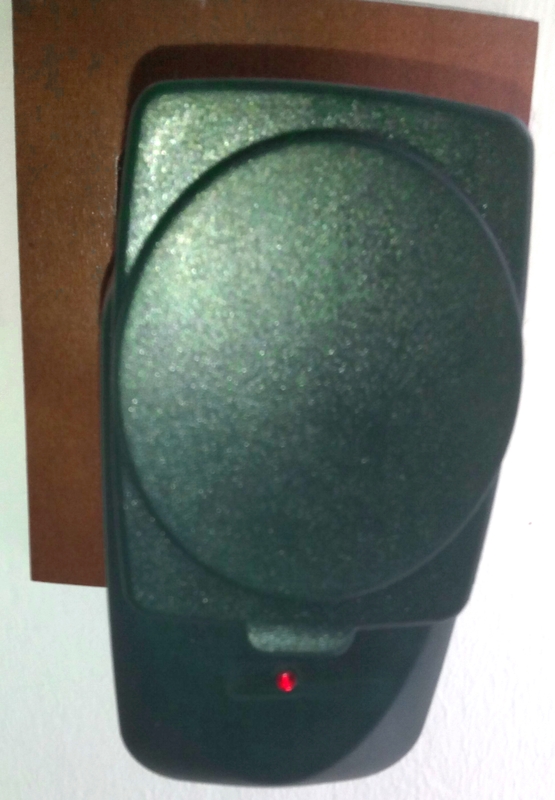 Behold….. it turned out that the Socket switch -in spite of a number of codes being put out by the remote control- only reacted to one specific code and indeed that was one of the two I had opted for. So, I quickly adapted the Senddemo program to send the On and Off code for Channel A and plugged it back in. and yes, there it went clicking away, On, Off, On, Off. So now I did the same for the B and C channel, isolated 2×2 codes that seemed the most likely and actually picked the right one immediately to put into the senddemo program and there it was… the 3 socket switches happily clicking away. The next 4 positions determine the Switch ID. The next trits is not applicable and the last two determine ON or OFF. For RC use there are 2 main libraries for the Arduino: the one of fuzzilogic (Randy Simons) and the RCSwitch from Suat Özgür. As the ELROAB440 set was working with the latter, I initially stuck to the RCSwitch library. 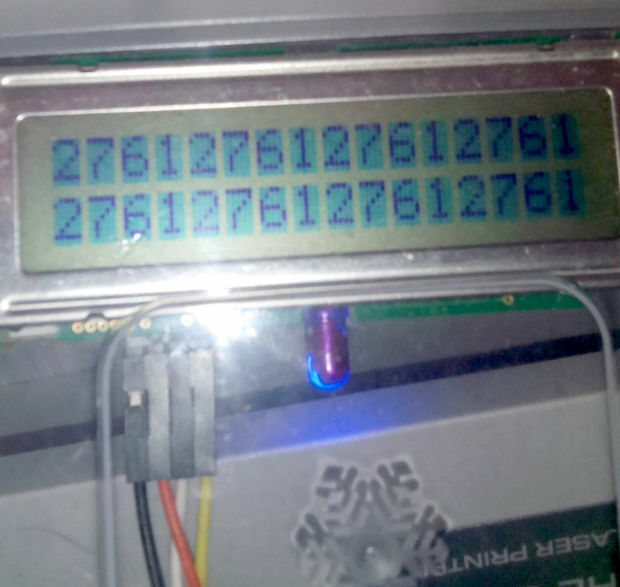 pinMode(7, OUTPUT); // use pin 7 to drive the data pin of the transmitter. // Send your button's code every 5 seconds. Well, let’s say ‘I learned a lot’. Just for completeness sake, it is obvious -if you compare it with the previous table- that the DIPSwitch position ‘ON’ doesnt send a ‘1’ but a zero. The code “1011100100” is that of the ‘C’ switch from the table above. As I couldnt ‘sniff’ the SELECTREMOTE No. 1728029 for lack of a functioning transmitter, and had no idea what codes it used, (Initially) I couldn’t get it to work yet with the RCSwitch library. * Demo for RF remote switch transmitter. * - Connect a 433MHz transmitter to digital pin 7. // Switch on Blokker-device 1. // Switch off Blokker-device 1. The first four trits set the device_address (A-D) with a selected letter grounded (00) and the nonselected floating (01)., the next 3 the Switch id (1-3) then there are 4 non relevant trits and then one trit for on (11=High) or off (00=grounded). which -as we can see in the sniffed code- is correct. This code looks very much like the one for the ‘Blokker2’ class in the addition Jeroen Meijer made to the fuzzylogic library. It now has a separate class. settings if taken out off the wall-socket (at least not for a while. These receivers supposedly can learn the old kaku_switch protocol. They are receptive to remotes of other systems when programmed as such, but I found that they do not always recognize the codes sent by other remotes during programming so you may only be able to only switch on or off a lamp when programmed with another remote. It is clear to see that the signal only changes by 1 bit, though it is a bit odd that there seems to be an unlogical difference between channel 3 and 4 as one would expect “100100100100110101001001” for ON and “100100100100110101001000” for OFF. Also the All ON/OFF seems a bit out of order. Sending these codes as is with the RCSwitch library works fine. It seems impossible to figure out what the device code for a random set would be, so you would need to first sniff the remote control, or, just send a chosen code with a 433MHz transmitter from an Arduino (or other micro controller). The Eurodomest protocol is very akin to that of the ENER002, that in itself is akin to the Duwi/Everflourish EMW200R. It has the HS2303-PT chip rather than the PT2262. The Eurodomest might be the same as the Bauhn remote switch set. The ENER002 has its own class in the Jeroen Meijer update of the Fuzzilogic library. If you do not have that number… just use any 20 bits number, and use the arduino to program your Eurodomest. The ‘7’ means ‘All’. As per Januari 2016 the Eurodomest is phased out at the Action stores and is being replaced by the ProMax. 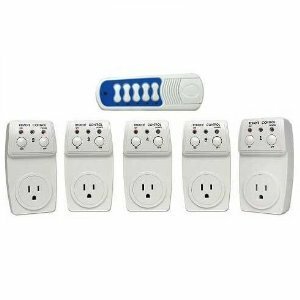 The Eurodomest is the same one as the Efergy remote (Efergy Easy Off). The full credit of this goes to Jeroen Meijer who analysed the protocol of a popular RF Led dimmer driver available in Chinese webshops. The code is very akin to that of the Eurodomest, albeit that it has a 19 bit address and a 5 bit command structure. 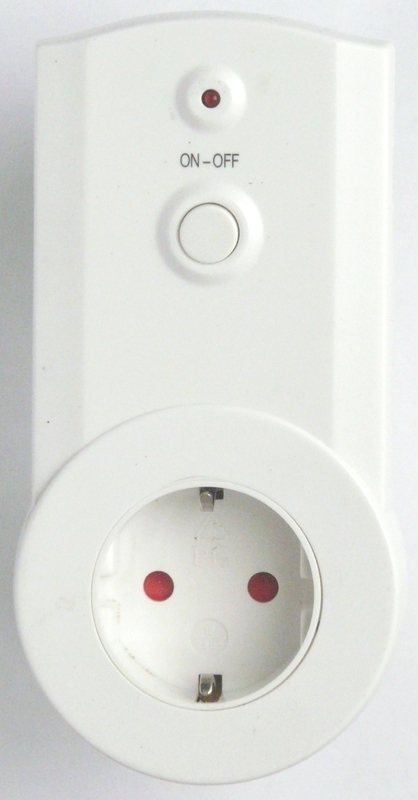 His fork of the RemoteSwitch library contains a class -CnLedDim1Switch- to control this dimmer. The codes are also easy to snif. The left 19 bits forming the base address of the device. then ‘0110010111001010000’ or ‘208464’ is the baseaddress and ‘00001’ the command code. 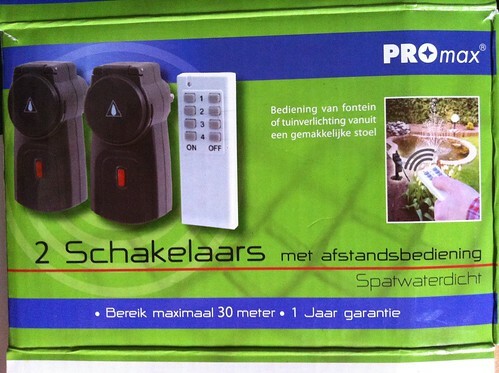 The Promax 75.006.14 is currently (early 2016) sold at Action stores (Netherlands) as a follow up for the Eurodomest. It is a sleek design, but appears to be difficult to implement. As it turns out the transmitter sends out several protocols. Although you may find reference on internet that the transmitter of this set sends two codes per key, that is in fact not true: it sends 4 codes per key. Two of those codes can be found with the RCSwitch library sniffer and 1 can be found with the RemoteSwitch library sniffer example. 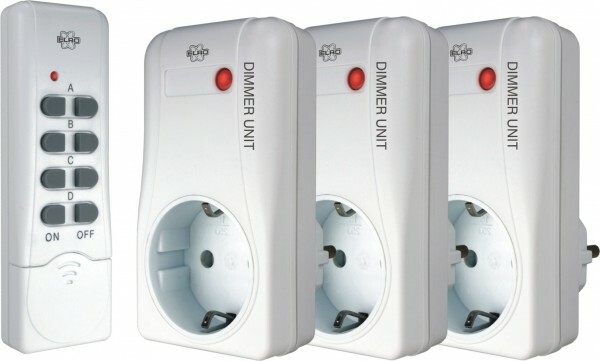 The RC found protocols are apparently the ‘AC’ protocol and the HomeEasy EU protocol. The RemoteSwitch-found protocol seems to be a Kaku2 protocol, but sadly none of those codes work on the ProMax Switches. For that you need the 4th code (actually it is the 1st code it doesnt detect). Beware, the ProMax sold at action is NOT this one. In the fall of 2017 Action started selling the Flamingo SF-500WD/2 remote for 9.95 euro whereas regular retail price is arond 17 euro. 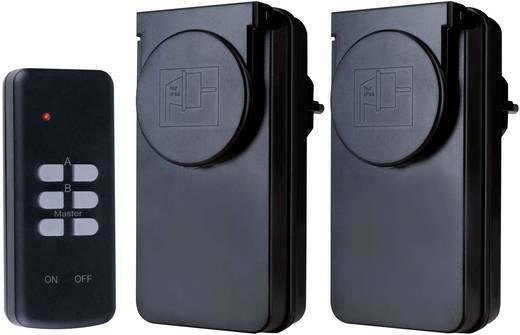 The SF-500WD/2 is a 2 switches-1 remote Outdoor remote set for which i have not been able to find any codes yet. Apparently it is recognized by RFlink. A manual is available. The Kambrook, made by Ningbo, is a bit of a different RF switch as the RemoteSwitch and RCswitch libraries don’t detect it as it has a 48 bit packet size. A fork of the RCSwitch library has a 4th protocol added to make it work with the Kambrook. In the Kambrook a short pulse is constructed from a 280uS wide pulse, followed by 300uS off period. The long pulse consisted of a 675uS wide pulse, followed by a 300uS off period. The message is repeated 5 times with a gap of 9850us in between. The signal consists of 48 bits: it starts with an 8 bit sync signal thart is typically 01010101. That is followed by 24 (3×8) address bits. Then 8 databits, followed by 8 trailing bits, typically 11111111. Arduino code for the Kambrook is here. Details on how to drive these switches is described here, and here more on the Ikea Ansluta., and the Nexa. will switch it ON or OFF. As it is a learning remote, one will have to sniff the code of the transmitter, or use the code above. The PB3-230 is a remote powerswitch made by Intertechno. 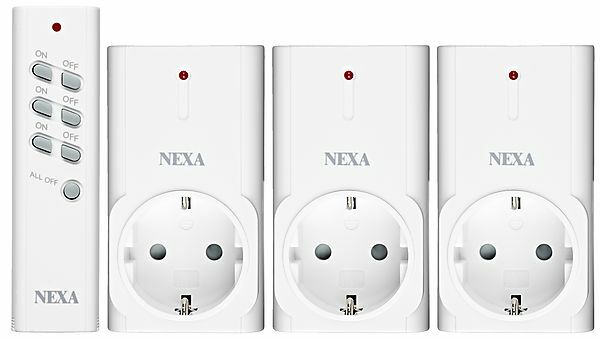 The are also sold under the name ARC PB3-2300 or Nexa PB3-2300. There is a library available. 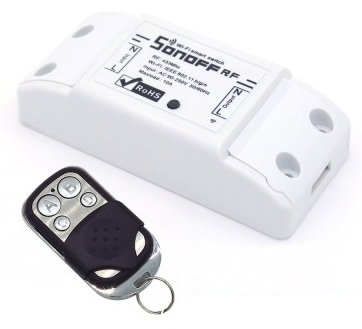 The Sonoff and Slampher are two devices sold by Itead. 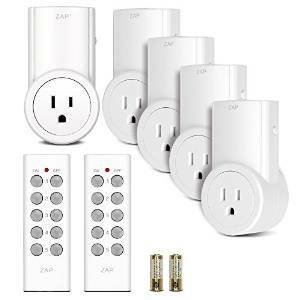 They come in several versions either controlled by WiFi, by RF or by both. The transmitter is a 4 button device (beware, it is often sold seprately) that sends out 24 bit codes in which the first 20 bits are the same and the last 4 just indicate binary 1, 2, 8 or 16. As the WiFi use of the sonoff and slampher is through a specific website, there are many software hacks available (it contains an ESP8266). If you reflash it with new software, there is no garantee that the RF function will be kept. 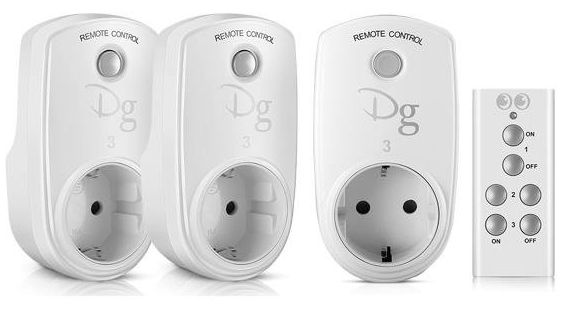 The Digoo RC-13 Smart Home RF Wireless Remote Control Socket comes with 3 sockets and either a 3 channel or a 5 channel remote. It is clear to see that the device number is defined in the last 3 bits, whereas the ON/OFF code is defined in the 4th bit from the right. The first 20 define the ID of the set. Handy RF sniffer (Datapin on D2) and Senddemo sketch (Datapin on D7). 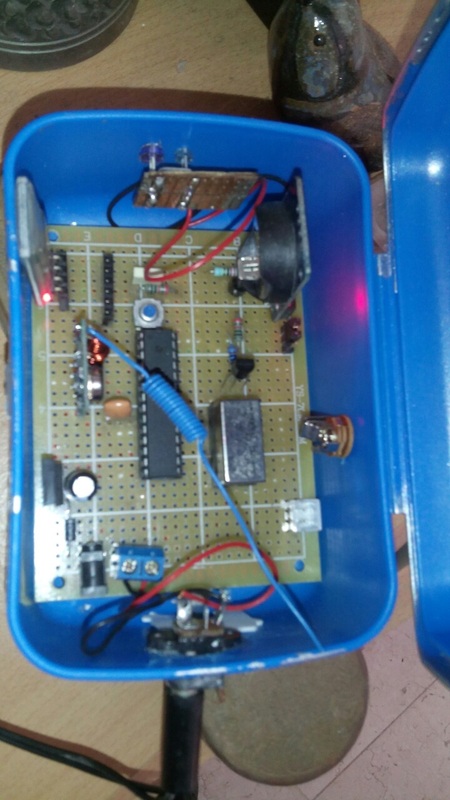 Arduino, ESP8266 & Raspberry Pi stuff Blog at WordPress.com.